A place to find all the reviews that I have posted on Boardgamegeek, shorter pieces of critique and the Brainwaves podcast, a fortnightly boardgames and tabletop news show. It's been a little while since I updated you on the progress of Swordstory (name still to be firmed up) and much has happened. I've pitched to two different companies at Expo, iterated a few times and really started to feel the structure of the game come together. Wow that title really doesn't work, but I'm oddly proud of it. You read it, you can't unread it. Quite by accident I managed to land a couple of pitches at UK Games Expo. I was taking Swordstory with me, but only to play with friends. It was still way too early consider pitching to publishers. A twitter conversation with Alley Cat Games led to a pitch session with them, and Stuart from Red Dice Games was nice enough to talk me up to Wotan Games as well. On top of that I agreed to be filmed giving my pitch for the Boardgame documentary that Elisar Carbera was putting together. I had absolutely nothing to lose at this stage so just decided to enjoy it and not worry too much about the outcomes. The game was still in a very rough state, something I made clear in advance to Caezar from Alley Cat but not to Lawrence from Wotan games. The pitch to Alley Cat was first up and Caezar and Robb listened, asked questions and were very polite in their feedback and suggestions. They are a company that tends to stay away from more traditional themes, like Swordstory’s fantasy, but their feedback was still invaluable. I’d met Lawrence at the press briefing and he was a very friendly chap who had an obvious passion for his games. I definitely considered Wotan a better ‘fit’ for the game, as they’d already made games based on Norse Mythology which is replete with tales of swords and monsters. Lawrence was a lovely chap to have a talk with and seemed interested in the game, asking me to keep in touch with its progress. I certainly will do! Pitching was a really fascinating experience and since I went in with no expectations I was not in any way disappointed by not getting snapped up on the spot. The game was in a rough state, and still is to be honest, though it has come on since. I am really grateful to both Alleycat and Wotan games for taking the time to meet with me and the practice these sessions gave me will hopefully see me well in future. The first, in June, was a 3 player game that included myself and went pretty well. I was trying out a new starting condition where everyone gets the same Blade, right down to the numbers. This was a good levelling factor for everyone and meant the probabilities were right from the off. However there was still an issue with it taking too long for people to build up the cash to start distinguishing their Blades. I also had some of the new Dungeon abilities in play and they proved interesting and something the players could manipulate. We discussed that both the Dungeon and Loot river should flow away from the deck so that you can predict more what a monster’s ability was liable to do. The other new thing I tried was a refreshed wound system: Sword parts had wounds on the back and you assigned dice after rolling with the correct number on them to heal wounds. It didn’t work. 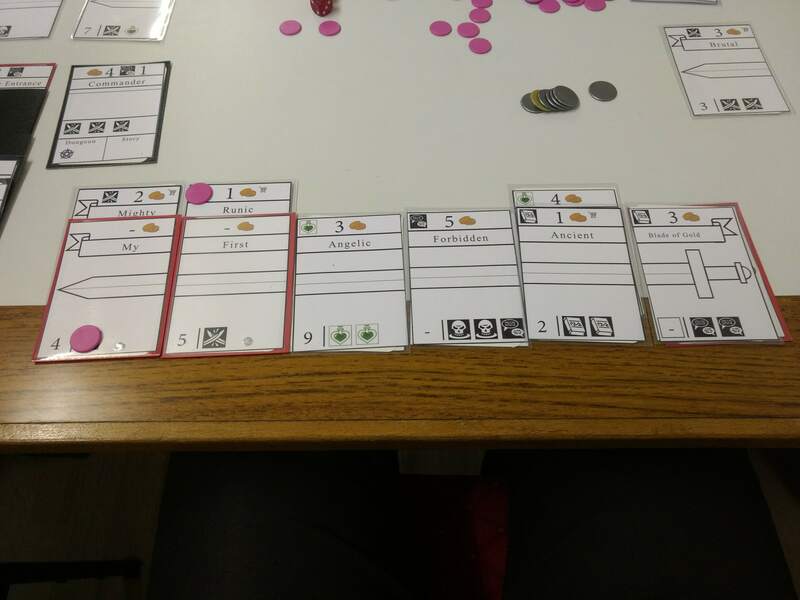 I adapted that idea a bit for the July playtest, with 4 players, and it still didn’t quite work. This is one of the issues about the way I design sometimes, I tend to think of a solution and just try it with less analysis than others might do. I want wounds to be very much a risk/reward choice to reflect the rest of the game and I still have not managed to strike that balance. In the July test I gave everyone money to start with, allowing them to quickly expand and augment their blades. This was great and everyone differentiated their Blade quickly. One problem solved! As the wound system was reliant on you taking more than the length of your blade for a threat, and everyone had longer blades from the off, the threat was much reduced. There were a lot of dramatic plays in this particular game, and that felt really good. However, it meant the Dungeon was being cleared out every turn and the monsters didn’t feel dangerous enough: not so good. 2) It will make the dungeon choice more interesting as anything you can’t kill straight away is going to wound you. 3)It will allow for the creation of new dungeon abilities around this wound management system. I’ve already changed poison to make a monster not wound. This may be too harsh and I would consider softening it by excluding traps from this rule. This will mean tweaking some dungeon abilities but that is fine and can be done without really changing anything on the cards. I really feel like this is a step in the right direction and giving the players another resource to manage doesn’t feel too complex. I’ll be using tokens for the wounds as well and removing the ‘laking’ mechanic I had copied from Suburbia. You turned the Blade parts over for wounds meaning you could deny parts to people. If the new wounds work my next step will be to make the manipulation of the central reserve more interesting. 1) I introduced a shop with basic blade parts.This allowed access to slightly more powerful tips, middles and hilts from the off and a pool of basic enchantment. I saw people change their Blades right from the first go which was great. 2) Multiple enchantments on individual Blade pieces. This was an interesting thing to see tested, allowing for more creativity in how people build their Blades. I worry that it will make higher numbered more powerful pieces less useful as you can build a lower numbered part out with lots of symbols and triggers. I will continue testing this as I think the rising cost will make that unaffordable. 3)I introduced the idea that many of the more powerful Blade effects consume magic and this seemed to make using those abilities feel more significant. I’m going to be manipulating the game around this framework a little more so that people can build a satisfying engine. 4)The last round points are fine, except there is a disadvantage in the way that round plays out for the last player, so I need to think on exactly how the game wraps up. The core of the game is still proving to be fun but there is still a lot of work to do. What I am working towards now is the correct balance of risk and reward, making each throw feel exciting and rewarding for every player around the table. I’ll do a complete reprint for the next version, tweaking monsters and adding some graphical changes to make things more understandable. I am so grateful to everyone who has given me feedback on the game so far and I really hope that I can take an almost completed version to Expo next year. 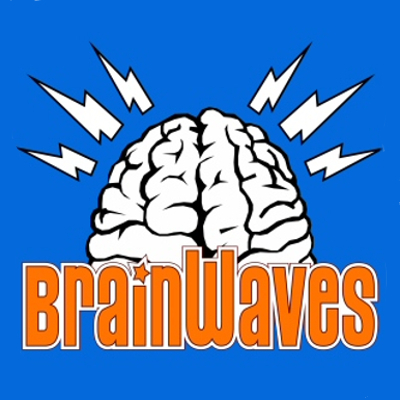 Welcome to Brainwaves a fortnightly podcast bringing you the best in Boardgame and Tabletop Gaming News. Iain brings a giant sack of Gencon news to the table that the gang all wade through to bring you the tastiest morsels. The boys discuss Keyforge: Rise of the Archons, a plethora of GW announcements, a game you wouldn’t expect getting the legacy treatment, and Iain settles down in RPG corner to take a long hard look at the Ennie announcements. One of my core aims with The Giant Brain is to promote designers, creators and publishers in the UK gaming scene. 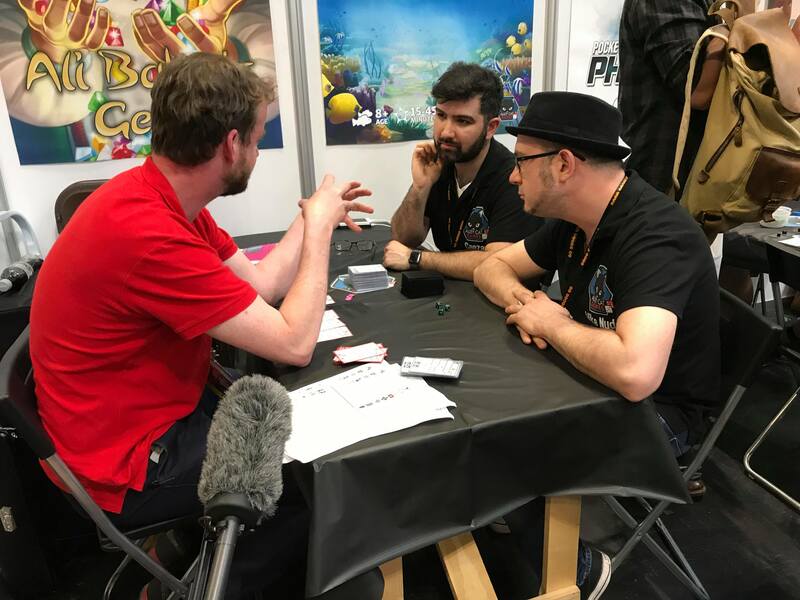 To this end I’m doing a series interviewing various folks from across the UK tabletop gaming scene to get an insight into their games, their thoughts on current events in the industry and anything else that pops into my head. I hope you enjoy it. 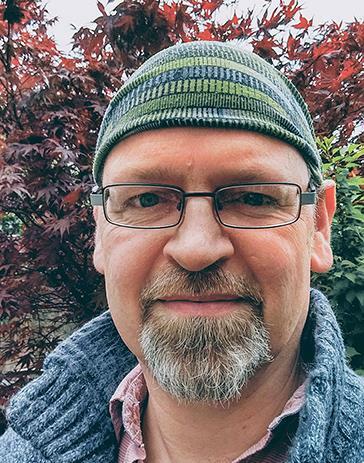 Justin Morgan-Davies is the head honcho of BadCat Games, a Scottish outfit that is just about to launch its second game Gladiatores : Blood for Roses on Kickstarter (September the 27th). You can read my preview of that here and it will be up on the page for the game soon. In the meantime, Justin was good enough to sit down and answer some questions about their first Kickstarter, Elemenz, and the drive behind bringing Gladiatores to the public. Elemenz funded successfully on the second time round and I believe that you are pretty close to delivering. Was it hard to give up on the first Kickstarter and what do you think made the difference for the relaunch? Yes we have just started shipping out the game to backers. 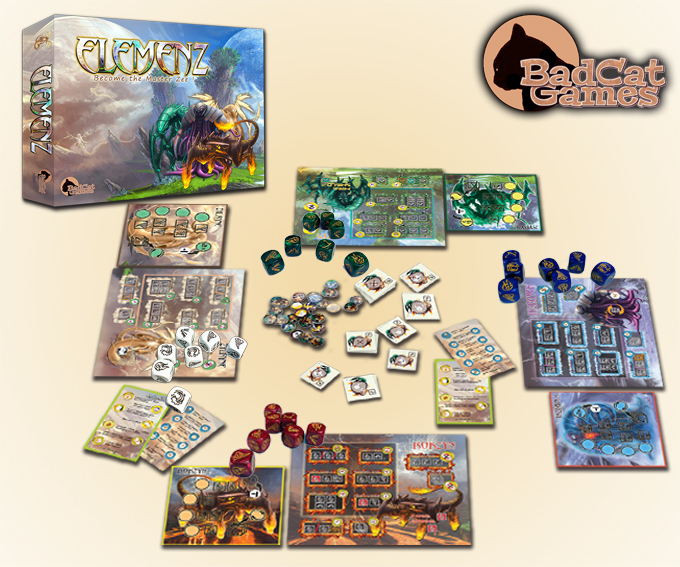 We were very pleased with how the re-run of Elemenz did on kickstarter. We ran a better campaign and the extra marketing that rolled over from the first time really helped also. So no in fact, it wasn’t hard to cancel. By doing so and getting the message across that we would be back I think encouraged many backers to stay in touch, wait and be there for the launch. Now more than ever, that initial 24hr push can almost make or break a final kickstarter campaign result. What would be you top piece of advice for a company looking to use Kickstarter to launch their first game? Do your numbers very, very carefully. A lower initial goal greatly helps to get you that initial push towards getting funded but it still has to be financially viable or you are setting yourself up for a fall (we didn’t do this but have seen others do so). Also make sure you have stretch goal teasers on show to encourage continued support and more reviews and media channels talking about the game to keep interest through the middle-section lull. I guess also from the question above - don’t be afraid to cancel before the end date if it looks iffy and you think there is more you could do to help the campaign work second time around. Will Elemenz be getting a retail release? It is a gateway game, pure and simple so yes there will be a retail version but it won’t be like the kickstarter edition. We are speaking with international partners to bring other multi-language versions out and this will likely be the main retail release. We’ve seen excellent take-up of the game so far in French speaking european countries so this is something we want to expand on for other european languages. 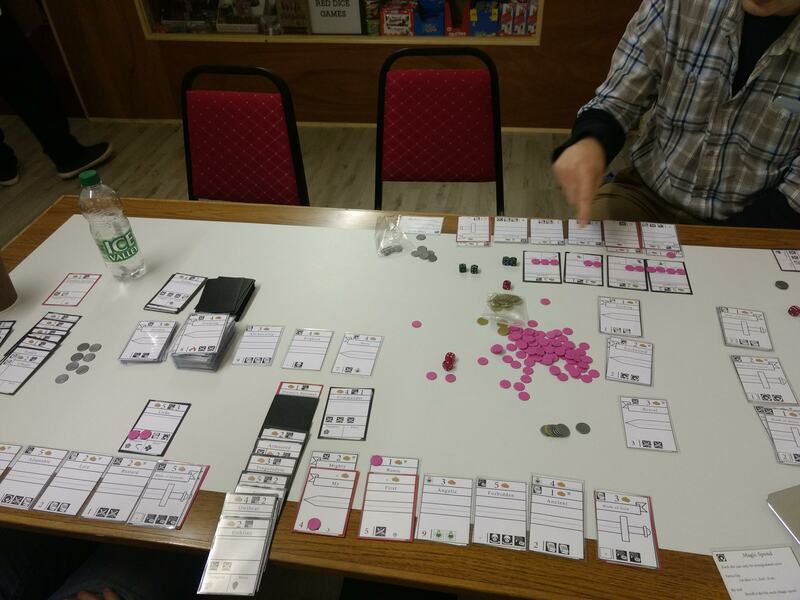 It is also a flashy looking game that works well as an opener in gaming cafes so this is an area we are actively pursuing now, offering demo copies for people to try. We also have more planned for the Elemenz universe (in a much larger contextual game) that involves exploration and the interface between humans and the unknown (in this case the 4 Elemenz races) - but this is super secret for now! Were there any particular challenges in designing a Gateway game over something more ‘gamer’ focused like Gladiatores? Not with Elemenz. I personally love games that allow for ‘expert’ play. By that I mean games that have extra rules/ components/ methods of play that make them harder, more tactical or for more experienced gamers. In Elemenz it was always a dice challenge battle game, but to keep it child/ family/ gateway level friendly we clearly indicated the Totem boards with their energy Pulse tokens were a ‘bolt on’ addition that made the game more tactical and gamer-centric. 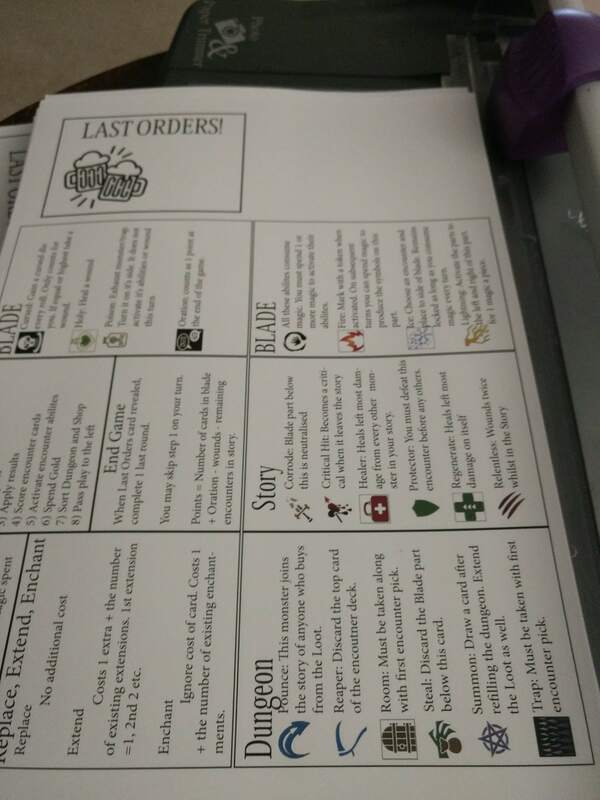 The Kickstarter promo Avatar tiles included with the KS edition were a mini expansion that again added a further level of complexity that could be included or ignored if necessary depending on choice - and would not affect the core gameplay. To us, gateway games - while being primarily fun - should also teach some new mechanics and more complex ideas to encourage the new gamer to explore more complex games. It’s probably how most of us progressed after all. I had a chance to play Gladiatores at Dragonmeet, and I really liked the mix of push your luck and betting mechanics. What was the inspiration behind the game both thematically and mechanically? When will it be coming to Kickstarter? Gladiator combat is such a strong theme (just look at the gladiator games that came out around the time the Spartacus TV series was out) and one of our faves. I’ve been cooking up this game since the early 90’s after playing Lunch Money by Atlas Games. The idea of condensing an actual sword fight; all the cuts, thrusts, blocks, dodges etc into thematic card form that firmly puts the player into the thick of the action is something I wanted from the start and gladiator combat was an ideal match. Gladiatores diverges strongly from the source though as the combat move cards played often trigger chains of ‘take that’ and ‘counter take that’ moments that feel much more visceral than miniatures based games. The tactical choices and bluffing aspects give a very strong risk taking, push your luck feel since energy, the cards in your hand, and life points are very limited. As you point out, there is strong betting element in the game too as each player is actually playing a school of five gladiators and it is all about reaping the glory in any and all ways possible rather than only about the poor gladiators themselves. Gladiators taking a fall for their boss is just part of the deal. The trick is to read the other players; their choices, their risks and make your bets accordingly - to play your skill in the arena off against the potential rewards. 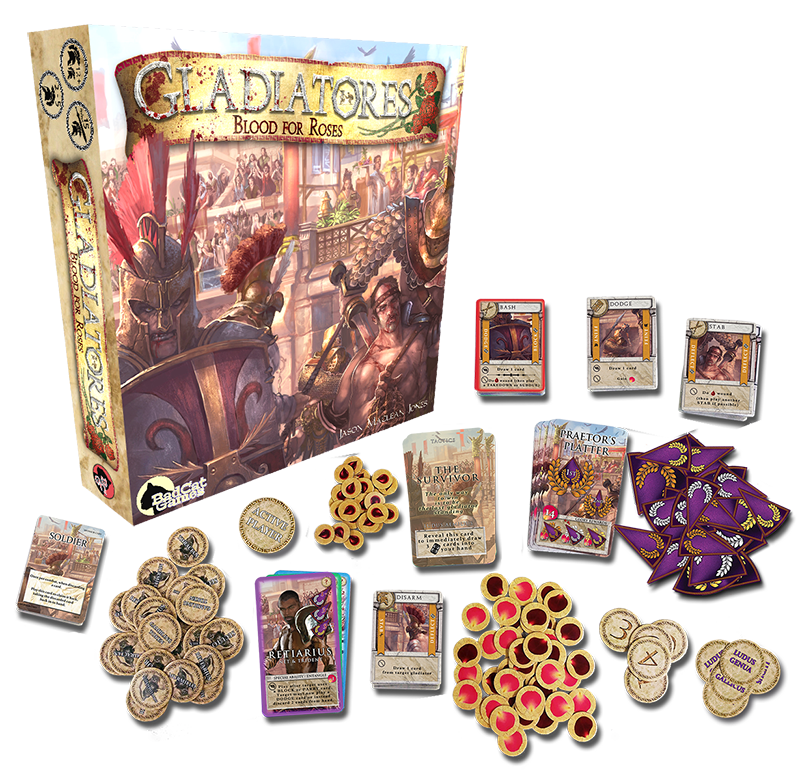 Gladiatores: Blood for Roses will be launching on kickstarter on Sept 27th. How have you found the reception to your games at conventions and which con have you found the most useful in terms of playtesting and feedback? UK Games Expo of course is the big one and our stand was twice the size of last year so I guess that shows how the games have been received by the gaming public. We actually had folk last year who had tried Gladiatores, wanting to hold the table, call their mates in from across the hall to have another game. It was great! They taught the new guys the game without needing us! For playtesting though you need a smaller con and we’ve found Glasgow Games Festival is lovely for that. Time to sit and chat with folk and find out what they are looking for in a game. Also we are excited for the new Tabletop Scotland con coming this September in Perth as it is our home turf and again will be able to chill out with fans of both games. What games by UK designers are you most excited for in 2018? Top of my personal list is Everdark by Edventure Games. I’ve been speaking on and off with Ed for maybe two years and everything he shows about the game gets me more excited. We recently got Barbarians: The Invasion with its rotating action space volcano. Everdark has a rotating city on the board and a five tiered temple miniature! What’s not awesome about that? Second would be some great indie stuff going on in the UK like Summoners Isle by Robbie Munn and Microbrew by One Free Elephant - which I haven’t played yet even though they are just away up the road from us! This review is based on a retail copy of the game bought with Iain’s own hard earned money. “Rome was not built in a day, but they were laying bricks every hour”. Ok so we aren’t going to build Rome, but we are going to build an entire civilisation in a lunchtime and we will do it however we want. Want to rule on high from a military junta? Use Religion to establish your moral superiority or Culture to win admiration? Negotiate from a place of Economic strength? Push the frontiers of Science to get to the Utopia you know your people deserve? Well you can in only 104 cards or less. And a nice coin. Beautifully presented. It's a very nice coin. I like to try and cover a wide variety of game styles and themes in my collection with as little overlap as possible. I’ve been thinking about buying a Civilisation themed game for some time, but most are too long for my typical game sessions. Cracking the seal on CIV, from Ludonaute, I immediately noticed how luxurious it feels. The box is made of nice, thick cardboard with that lovely matte finish and the art is simple but evokes the theme well. Along the side of the box are little buildings and as you lift the lid they change from being religious to militaristic, basic to temples, etc. It’s a lovely touch that hints at the gameplay within. The game itself is not heavy with components: large cards, you can find sleeves for them, some player reference boards and a lovely metal coin are all that you need to be the leader of a civilisation. The cards are absolutely gorgeous, with simple but evocative art by Christopher Matt, and they feel great to hold. There is little on the cards other than a symbol and the art and that is all you need. Mechanically the game is simple, hiding its light under a bushel until you click into what is happening. On your turn you will play one of the cards in your hand, creating or adding to a domain in front of you: Military, Religious, Economic etc. If you have gained enough cards in a particular domain you can use an additional, permanent effect of that domain, perhaps twice if you have enough cards. You may also discard a card from a domain to get a very different effect, but curtail your efforts to build up that set. For instance, by playing and then discarding a religious card I can take another player’s cards and then give them back the same amount, swapping some of my cards for theirs as I see fit. A set of domains in Religion, Science, Culture and Military. Religion and Military can activate their powers and Science can activate for double the effect! It is these powers that are the absolute life blood of this game and a good few games in I am still exploring the possible combinations. One thing that surprised me is how delightfully thematic a lot of the powers are. For instance the military permanent ability, Assassination, allows me to discard a card, the economic discard ability is an Embargo which stops a domain being played into, and the Science permanent that allows for the swapping of cards in play is called Experiment. Simple mechanics with a strong theme. To win you can either achieve a certain number of cards in a one domain, a hegemony victory, or score points based on which domains you have the most cards in at the end of the game. Neither is simple and there is a lovely feeling of having to constantly adapt your civilization to the competing ones around the table. Do you stick with a course hoping to get the cards you want or do you go for a wide range of plays to get a little bit of everything, the truth is probably somewhere in the middle. One of the lovely things about CIV is that it is extremely easy to teach and that is massively helped by the player boards. They succinctly and cleanly explain the powers you have access to, and the hegemony and permanent ability triggers. One is even coloured to show the first player. The art beautifully reflects the progress of your civilisation with the domains looking more sophisticated with each age, despite remaining in the Roman era or near enough. The Science Domain really stands as out as looking more developed than the other domains, which may be deliberate but felt a little out of place to us. 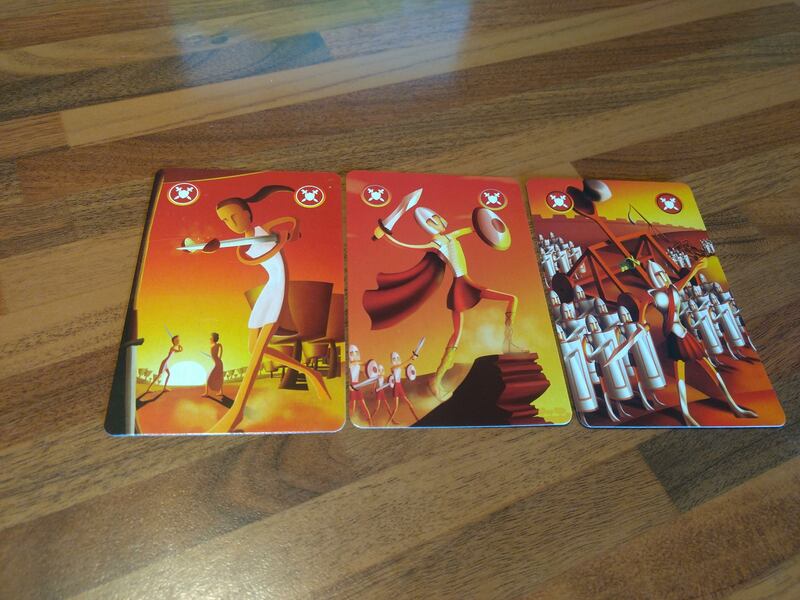 The game’s attitude to civilisation comes through in not only its powers but also the structure of the deck. As you go through the ages religion disappears, military becomes less prevalent, and science, culture and economy take over on the route to becoming a Utopia. Both military and religion provide effects that are directly destructive and combative, whereas the other 4 domains are focused on manipulating your own civilisation and blocking other people’s but in a less gotcha manner. I like that thematically it becomes less combative but that there is still room for strong plays and player interaction. 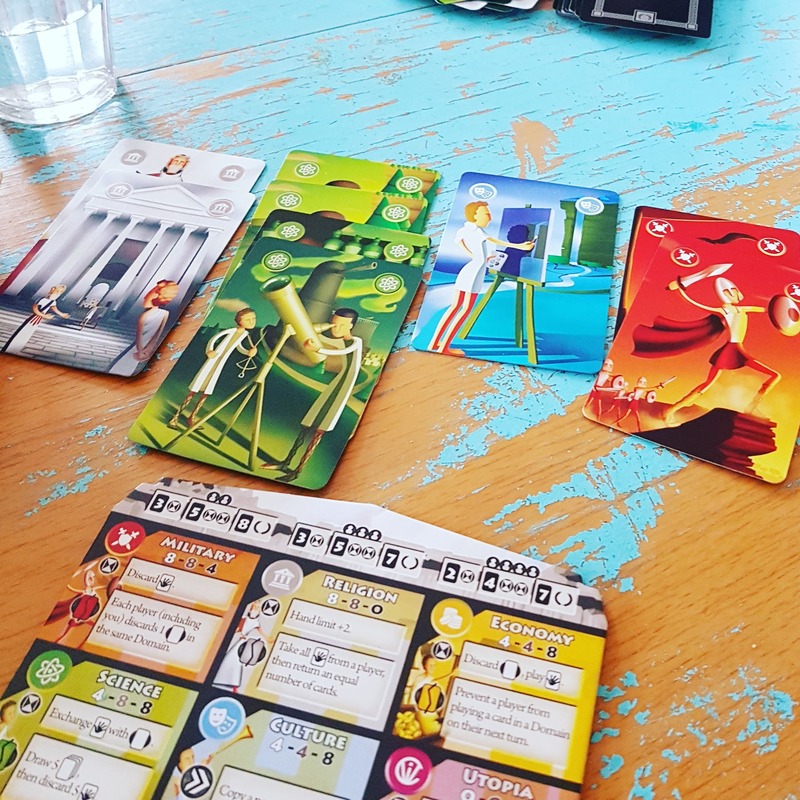 My tastes in boardgames have changed over the years and I have developed a particular passion for games that are laser focused, with elegant mechanics and just the components they need and no more. 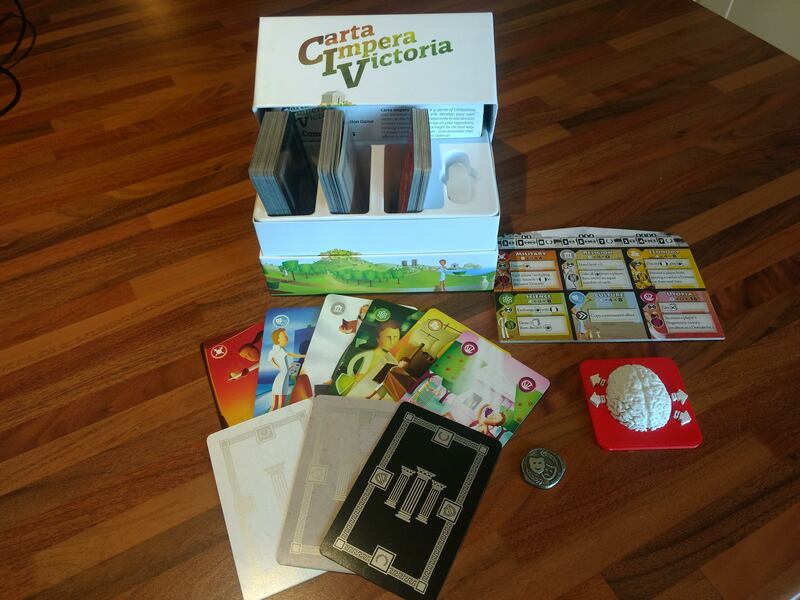 Carta Impera Victoria absolutely pushes those buttons for me and has really put the designer, artist and company on my radar. It is a real shame that CIV seems to have fallen through the cracks and I hope this review has succeeded in bringing it to your attention. It’s ridiculously cheap for the amount of gameplay, and the art and production values make it feel like a luxury product. We don’t need swathes of plastic and huge boxes for something to feel premium. What we need is thoughtful design, beautiful art and excellent production values to connect us with the game, its theme and ultimately the people we are playing with.